On the level? I can’t say I’ve worn any ten perfumes regularly this winter. I tend to test new things rather slowly, one at a time, over several days; I seldom wore any during my Christmas holidays in Canada because my father can’t stand fragrance; I go commando during my London courses since we’re already smelling so many things. And while I’m working on the book, I don’t like to be distracted – I’ll kick into analytical mode even with a familiar fragrance -- which means I’m often scentless on those days as well. Encens Flamboyant (Annick Goutal) was in last year's top ten and it's still going strong: it's become a staple of my Christmas holidays in Canada, its burnt mineral darkness and resinous undertones a counterpoint to the blinding scentless void of snow. The whole line is remarkably faithful to the fragrance and I’ve taken to burning the candle while soaking in the bubbles from the shower gel. An incense bath seems like a contradiction in terms, but there you go. L’Heure Fougueuse (Cartier) aka "the Horsy one" is emerging as one of the best 2010 launches – so far it’s been getting nothing but praise in the blogs but also in the industry, including someone from a major niche brand who told me “Now why didn’t we put that out?” This beautifully constructed tribute to Eau Sauvage may be Mathilde Laurent’s best composition yet and one that can still give me that roller-coaster flutter in the stomach every time I wear it. 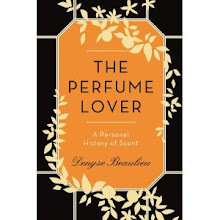 La Traversée du Bosphore (L’Artisan Parfumeur) makes it over from last fall’s Top 10. When all is said and done, the Turkish back story plays no role in the pleasure I get from wearing it: I find it a deliciously joyful fragrance, with an original treatment of leather, a rose/vanilla/musk powder puff effect that manages to feel both edgy and easy to wear, and a lovely soaring volume. Bois de Violette (Serge Lutens) is what I turn to for warmth: the candied sweetness of violet sheds a melancholy amethyst light on the resinous dried fruit and woods. I find the pencil-shavings facet of the cedar comes out more strongly in the cold. This is still, with La Myrrhe, one of the most remarkable Lutens. I’d lie if I said I gave Like This (État Libre d’Orange) a lot of wear. In fact, I don’t have more than a sample to my name: by the time I got round to it, there’d been such love heaped on it I felt it was pointless to add a review and turned to other things. But the one spray that hit my skin fell on it like a sunset over snow-scorched grass. Habanita (Molinard) is a scent I may never wear again – it is one of the very few too anchored in my past for me to revisit it. But through a kind friend in the States who stumbled on a stash in a consignment shop, I managed to nab a sealed, boxed bottle whose date of production was confirmed by the newspaper page that was wrapped around the bottle to prevent it from jostling: 1947. The tobacco effect still stands out vividly. Strip it down to its bearing walls – aldehyde C11, coumarin, cistus, oak moss, musk ketone, methyl ionone – and you’ve got the backbone of classic perfumery. Le Temps des Lilas (Houbigant) came from the same source. The name conjures the faintest memory of a song heard in childhood – it was composed by Ernest Chausson and sung by one of my father’s favorite baritones, Gérard Souzay. The scent, from 1923, is like a melodic line teased out of the real, vintage Quelques Fleurs. I only own a few drops, and because it is lilac, a fragrance now clouded by extensive use in toilet sprays, I didn’t pay much attention at first to the blotter, except to note muguet, rose and apple facets. When I returned to it, it had blossomed into the most realistic rendition of lilac I’d even smelled. I’ll treasure those few drops of spring until the real thing comes along. Roasted chestnuts are now mostly and somewhat puzzlingly by young Sri Lankan men, so that the classic cry of “Chauds les marrons” is no longer heard. But sweet smoky aroma of the finger-burning treats in their charred husks is the smell of Parisian winters. For more winter top tens, see Bois de Jasmin, Now Smell This, Perfume Posse and Perfume-Smellin’ Things. I love your list, Denyse. Particularly Le Temps de LIlas, which I just discovered last week (I have a tiny 1 mL sample). I agree, it's a stunningly beautiful lilac. Not cold (like En Passant) nor crassly powdered (like some bathroom air freshener), but sumptuous and smooth like pale pink silk on a warm body. As always, am intrigued to see where you visit, scent-wise. Even if today you taunt me with candles I'll never know, a horse I have to travel to stroke, and a couple of vintages I may never score. ;) Bois de Violette is indeed accessible, and beautifully comforting. As is Like This, which I have been happily spritzing on an irregular (nothing level!) basis. Uff da. Redbreast. You bring back a little heartbreak...I was supposed to get some from the Dublin duty free, but transportation delays prevented me from scoring some ON SALE to bring home. Here at home, it is difficult to source; am working on it. And take comfort with a bit of Jameson's or Paddy in the meantime. Jarvis, I'll be showing the lilac to a couple of people, but no one wants to do a lilac because of the W.C. connection... Pity. The Redbreast, or as I call it, "Le Sein rouge". Wow. I've found some on sale online. Not the best moment for that sort of luxury, but... Ye Gods. And not even a headache the morning after! I'm with Marina...now I will be dreaming of that candle! Although I do not think of linseed oil as a nice smell. I agree with you on lilac, which is so firmly associated with Glade that it is difficult to use it. En Passant is actually quite hard to call a lilac, it is so abstract. To make a lilac base, however, is not that hard. I also love Like This, just a beautiful, original composition. Robin, it's more like an effect than a literal rendition. The smell is very dry, like pencil shavings. I seem to be craving that note lately. Victoria, I'm ashamed to say that my use for lilac is also as a bathroom air freshener, except that I use Menardo's Pur Désir de Lilas for Yves Rocher -- Glade doesn't enter the house! My goodness. I'll take a sip of the whiskey, please. And then I'd like the same thing in candle form. Alyssa, I'd take another sip of that whiskey too, but I'm afraid I dealt a death blow to my friends' bottle! And check out the coat just under this post on the French side: that's the one I want. An enticing list and a fabulous photo. I'd like that YSL coat and a Poiret, please. And I've yet to try Habanita. . . hmm. . .
Gretchen, Habanita is still pretty nice in its current form, so worth trying out. Wonderfull choices- from the picture( wow that coat!) to the candles and perfumes! So a mix of old, new and very old for me. Am certainly interested to hear what others wear to stay warm! Illdone, you know, Le Sac de ma Mère *was* supposed to be turned into a perfume, I think for Aedes, not positive though... Don't know what happened with that project. Pity. I usually turn to spicy fragrances in the winter, but this year I haven't quite left Spring behind, as I am still alternating TDC De Bachmakov through my rotation. But L'Heure Fougueuse is also high on my winter list! I wonder if Mathilde Laurent is pleased with all the raves is is getting on the blogs? I love to sniff the vintage bottles, but the only one I find myself wearing regularly is Worth Je Reviens. Of course, it's not so hard to find, so maybe I'm less afraid to use it up! Ggs, I don't know whether Mathilde has been reading the blogs, I hope she has. I'm quite taken with that particular version of vintage Je Reviens, that's the one that corresponds to my very, very old memory of it. Not all of them do! 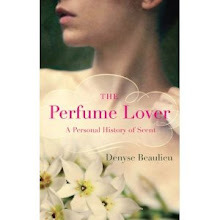 Denyse, what a fabulous list! Everything on there is something I either already love or want to try very much, especially the Cartier, and oh that Houbigant! Lilac is so elusive in perfumery, so very hard to get right, but when it's good, it's exquisite. Wow! Another Redbreast aficionado!I just love that stuff, and it is difficult to get a hold off, even in Ireland. Great taste from the best perfume blog! Thanks! Redbreast is wonderful stuff, but I'm not sure whether I should be glad or not I found out about it. As you say, it's hard to come by! Persolaise, five lists per year is how we do it: the annual and the seasonals. I'm at fault if my winter one isn't different enough, but I tried to stick to my actual favourites, some of which carried over from other lists. Can't fall in love with ten different things every three months! And any fragrance that takes real options will be a bit divisive -- it can't be all a love-fest. Mines are Habanita, Flapper, Hasu-no-Hana.. Eau d' Epices... now wearing Cartier de Lune which I think is more suitable for summer_ just a thought.